In the summer of 2009 Daniel had the opportunity to experience Quail Springs for a farm tour. He was immediately impressed by the dedication that the residents held for stewarding the very challenging high desert landscape where Quail Springs is nested. Shortly after that inspirational tour he enrolled in his first Permaculture Design Course with Robin Francis that was held out at Quail Springs. A truly life changing experience. Since 2009 Daniel has immersed himself in models that aim to provide for human needs while simultaneously increasing ecosystem health. This has lead him to Kenya and Uganda for international development work, pursuing permaculture programs in Australia, Colombia and California, working as the coordinator for Sustainable Vocations: a youth ecology and social justice empowerment program based out of Quail Springs from 2010-2015 and pursuing a degree in Ecological Restoration. 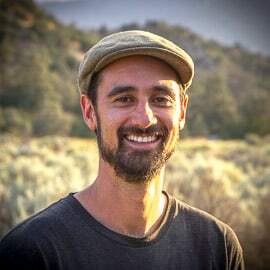 In 2015 his direction shifted slightly towards joining the permaculture movements focus in academia joining a wonderful group of faculty at the Santa Barbara City College in the Environmental Horticulture Department. Daniel is grateful to be an active participant in the global Permaculture movement and fully embraces the opportunity to work with a diversity of people from around the world.